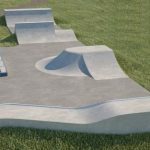 Bampton skatepark is a small all concrete back and forth run that can be found next to the tennis courts off Buckland Road. 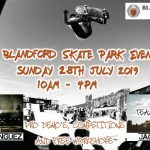 The skatepark is made up of a quarter pipe and a flat bank that are facing each other with a funbox and hubba in the middle, running along side this is also a ledge and a rail. 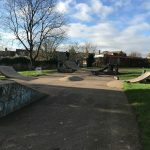 Bampton skatepark may not have the most original layout but the smooth concrete surface makes up for it, making it a great place to come and practise the basics. However, if you are after a more challenging skate check out some of the other skateparks nearby. 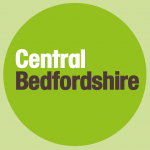 Oxford train station: As it is such a long distance from the station it would be recommended to get a bus or a taxi to get to Bampton skatepark. High Street bus stop: Exit the bus onto High Street and head south continuing as it turns into Buckland Road. Eventually Bampton skatepark will be on your right.